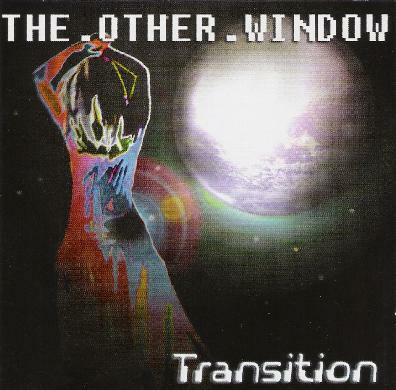 The Other Window - "Transition"
The Other Window are a UK based space rock quartet who released their impressive self-titled debut last year. Transition is their second album, consisting of 6 mostly lengthy tracks, and demonstrating significant growth since the first album. The CD opens with the title track, which is a brief space-symphonic introductory piece that gets the listener into astral traveler mode before launching into the 11+ minute rocking "Time Thieves". This is crunchy metallic space rock but with a melodic rock 'n roll vibe. The synths are mostly secondary and for embellishment so it's the killer cosmic guitars that inject the space rock element, not to mention the sci fi lyrics. "Asteroid" is next and stays firmly in hard rocking sci fi territory. Ditto for the cosmically intense "Black Hole", with its killer combination of in-yer-face metal and space efx'd guitars that build and build throughout the track until quite literally exploding like a supernova. More great guitar work is heard on the nearly 10 minute "Final Warning/Conspiracy". Ian Arkley is a talented guitarist who excels at bringing together metallic brain bashing, deep space styles and efx and solid melody. I dig the mellow spacey outro, which is a smooth landing and a bit of a breather after so much heavy rocking. Transcendance" closes the set and is a good finale after all the enjoyably hard rocking pummeling we've experienced on this album. The track stretches out beyond 11 minutes and is a loose, relatively easy paced and semi-freeform jam tune which just grooooooves along. Nice. The first Other Window album was a strong debut and includes some outstanding memorable tracks. But I found Transition to be a more consistent album. The band is clearly tighter and maintains a heavy rocking sci fi themed vibe throughout. And I really liked the more ballsy rocking groove. Of course like any truly adventurous band they'll probably throw us for a loop on the next album. And according to the band that won't be long as yet another new album is due mid-2007. Space rockers should mark The Other Window down as a must-check-out band. And if Transition is any indication they are bound to continue growing and developing and getting more exciting along the way. For more information you can visit The Other Window at http://www.myspace.com/theotherwindow.